Happy Planning My Way To Increased Productivity! Using a diary or planner to make lists and remember important things is nothing new. Whilst many people have embraced modern technology to keep track of everything and have gone paperless, a few months ago I discovered a whole new world of planning like nothing I had seen before. There are groups on Facebook (that I have joined) for people totally addicted to creating gorgeous planner pages that are inspiring yet practical at the same time. 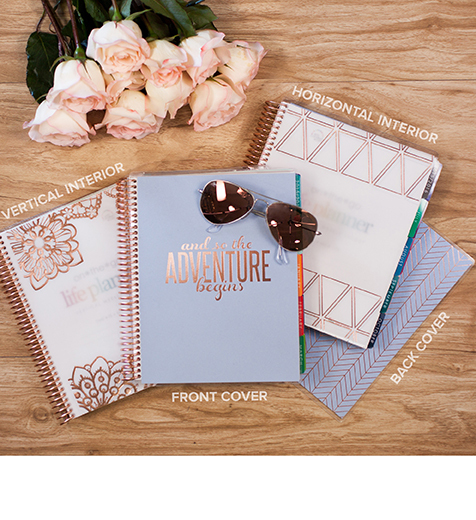 I have been quietly watching from the sidelines as the planner world went into frenzy mode following the anticipation of Erin Condren’s release of her new planners and the subsequent waiting and then delivery of these highly sought after items. I love pretty things, I love crafting and I love organisation and really wanted to jump on the bandwagon. Unfortunately these planner come at a price and if you live ‘down under’ a really big price. Erin Condren.com has this and many more planners available. With the Australian dollar tracking in the low 70’s plus delivery costs to Australia, you need to invest about $130.00 to get the rose gold edition. That is a lot of money for some printed paper and a rose gold tone covered coil. In the mean time I also found another alternative that you can buy in Australia for a much more respectable figure of just under $50.00. Every year I buy a traditional diary and religiously enter in everything I need to do for about 1 week and then I slack off. It’s boring! 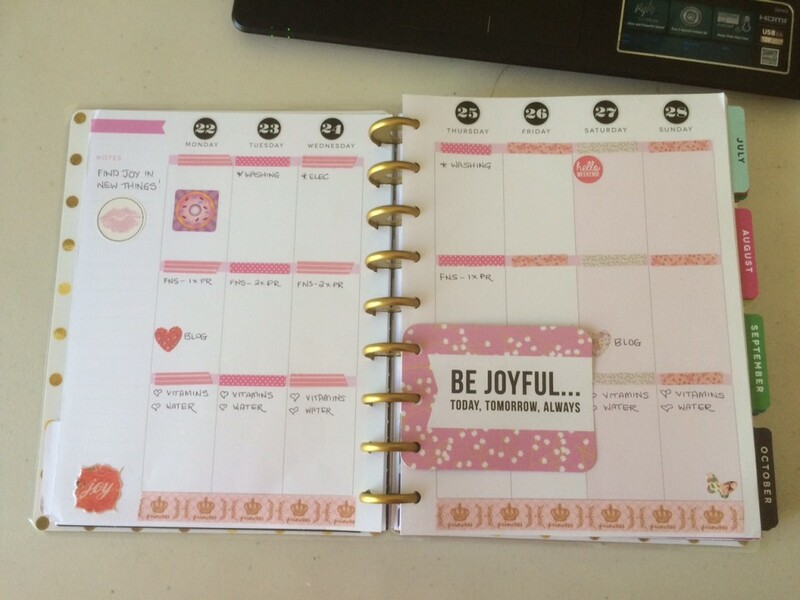 I decided I wanted a planner to decorate and use as an incentive to make better use of my time. It is not hard for me to relax for a few minutes a few hours by scrolling through social media every day. My goals and dreams are not going to become a reality if all I do is think about them. I need to take action and use my hours at home after work to be more productive and procrastinate a lot less. AND then something awesome happened…..
On all these group pages that I follow there are lots of RAK (Random Acts of Kindness). 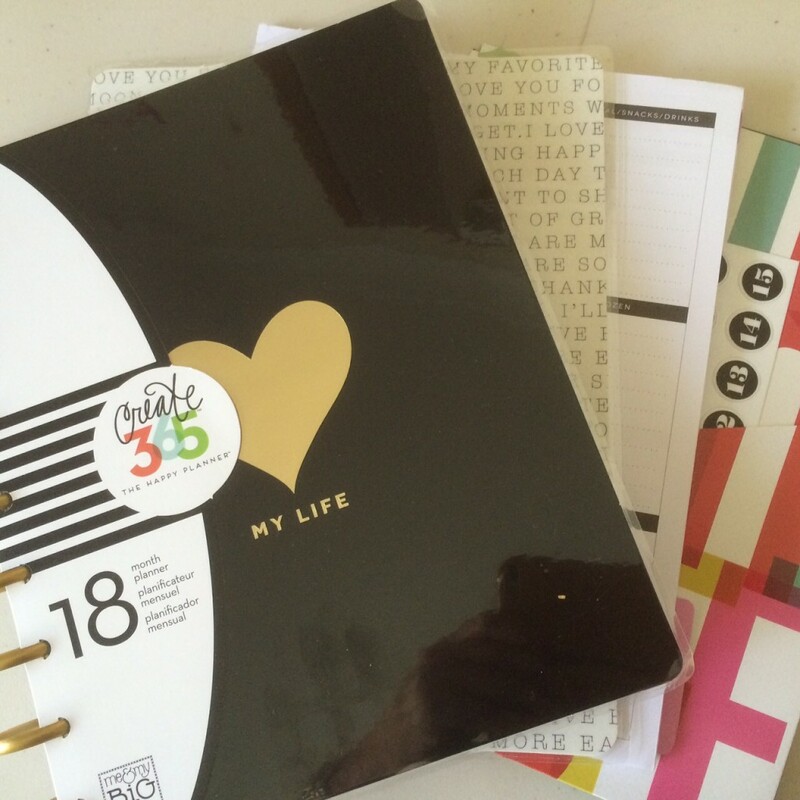 I saw a post from a lady in the USA who offered a Create 365 Happy Planner as a ROK and to be eligible to win in you had to live outside the USA or Canada as she understood our despair at the prohibitive costs for us. Well….I was the lucky winner! It took a couple of weeks to get here, but this baby is now mine! This planner runs from July but she even sent me some blank date inserts so that I could start using it straight away. This is my first attempt at decorating a week layout and adding in the things I have to do. Stickers, washi tape and goodness knows what else will fill my week with prettiness. My new plan of attack starting from today is that I MUST complete my To-Do’s before I spend time on social media or relaxing in any shape or form, so that when I do I don’t have to feel guilty about it. Being a single mum l do have very full days with work and running the household. As I experiment with this style of planning I will break up my week into practical chunks and get shizz done! Do plan or just go with the flow?